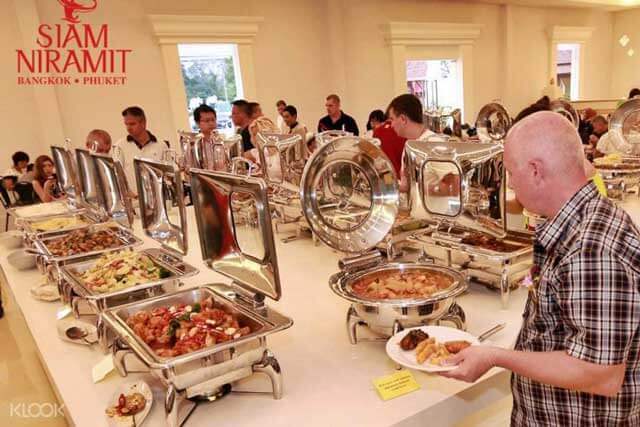 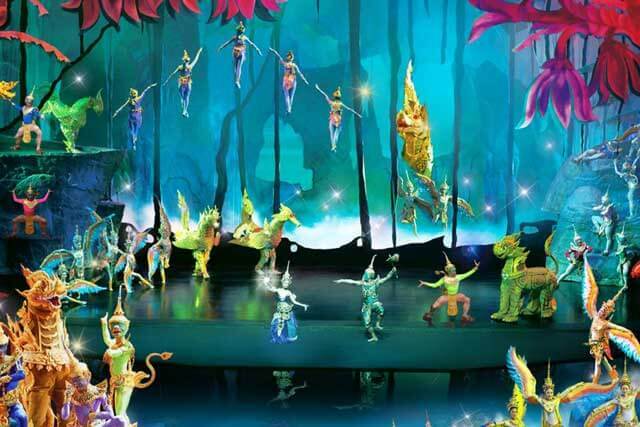 The Siam Niramit Phuket show runs 6 days a week. 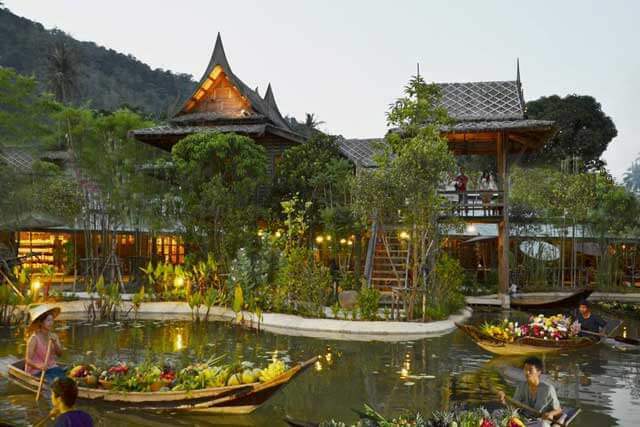 (Closed on Tuesdays). 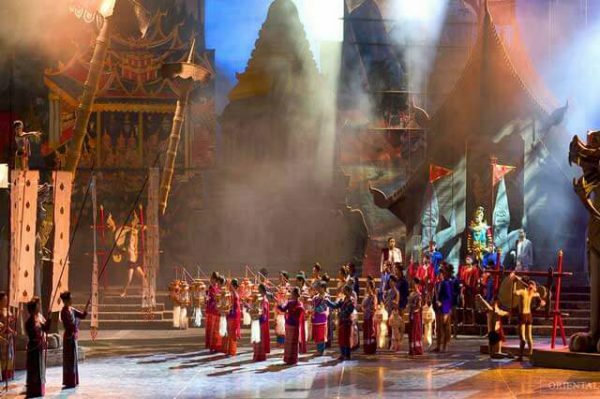 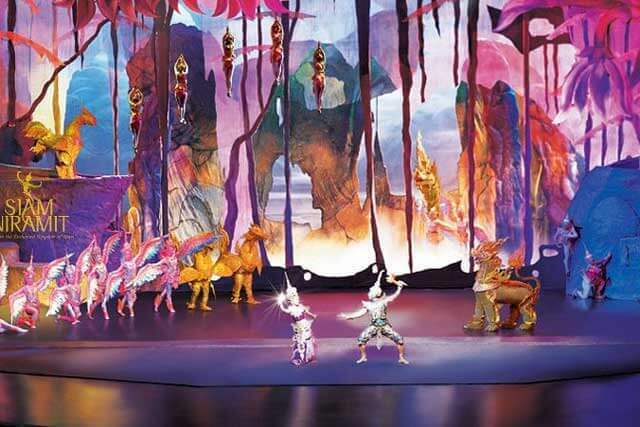 Siam Niramit Show Phuket – The show is performed on a very large stage with beautiful stage designs and backdrops that change with every act. The theater is equipped with a professional light and sound system and technology to create various special effects. 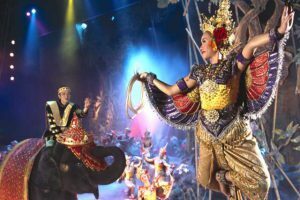 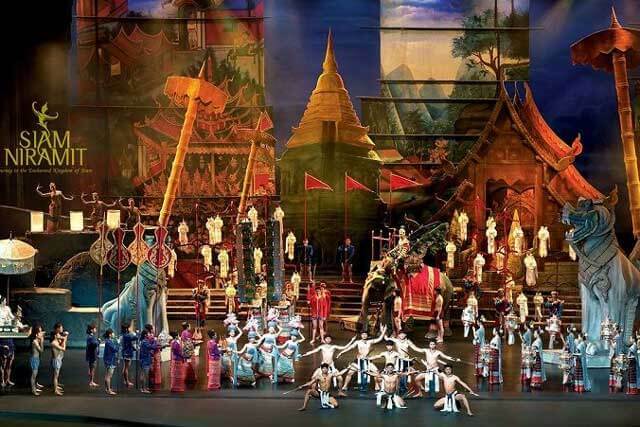 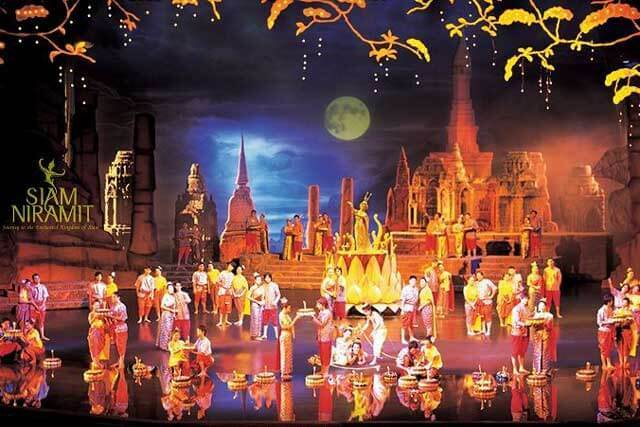 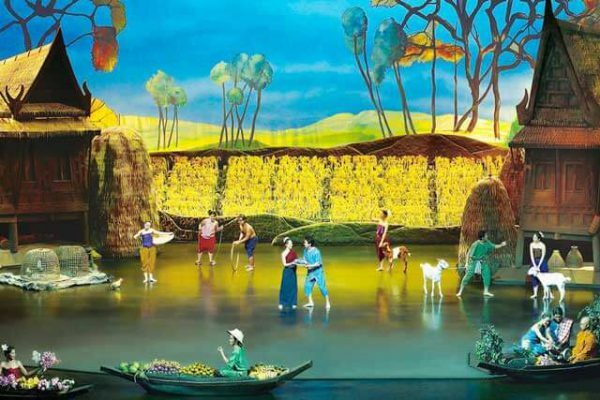 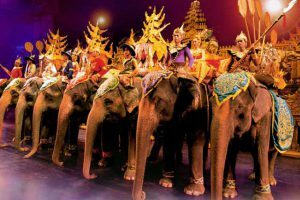 A one hour show based upon ancient Thai history and culture, grand scenography and costumes, a mix of technology and special effects with traditional costumes and legendary mysteries from an ancient Thai era.